With Feel on! 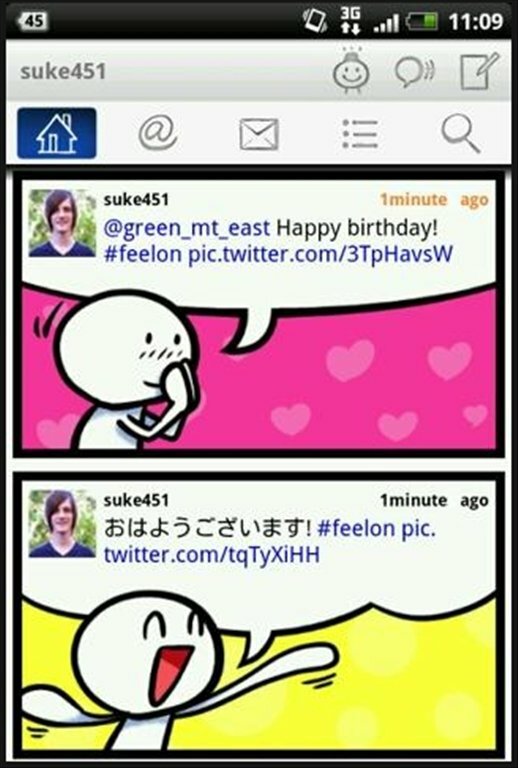 for Android you can convert your Twitter timeline into a comic with your tweets shown as cartoon strips. Communicate more easily with Twitter thanks to Feel on! Your tweets will gain in expressivity thanks to Cimmonkun, one of the characters created specially to represent your messages as comic frames. With Feel on! you can choose between showing your timeline in normal or comic mode. 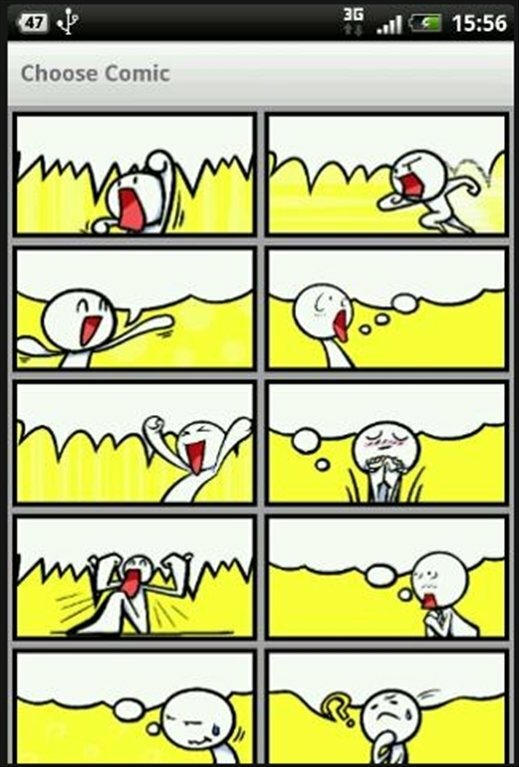 You have the possibility to publish tweets in the usual way or attaching the corresponding comic frame. And, of course, you have the usual options to retweet, mark as favorite, etc. Download Feel on! free for Android and make your tweets more original.